Safe Communities Coalition: The S.A.F.E. Program gives away shirts and bugs at the Child Safety Fair in Santa Fe on October 6th! The S.A.F.E. Program gives away shirts and bugs at the Child Safety Fair in Santa Fe on October 6th! 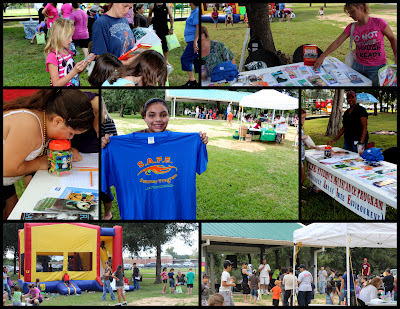 The Santa Fe Parks and Recreation Board sponsored an annual Child Safety Fair on October 6th at Tambrella Park in Santa Fe, Texas. Santa Fe Police Department, Santa Fe Fire and Rescue, the Mark Kilroy Foundation S.A.F.E. 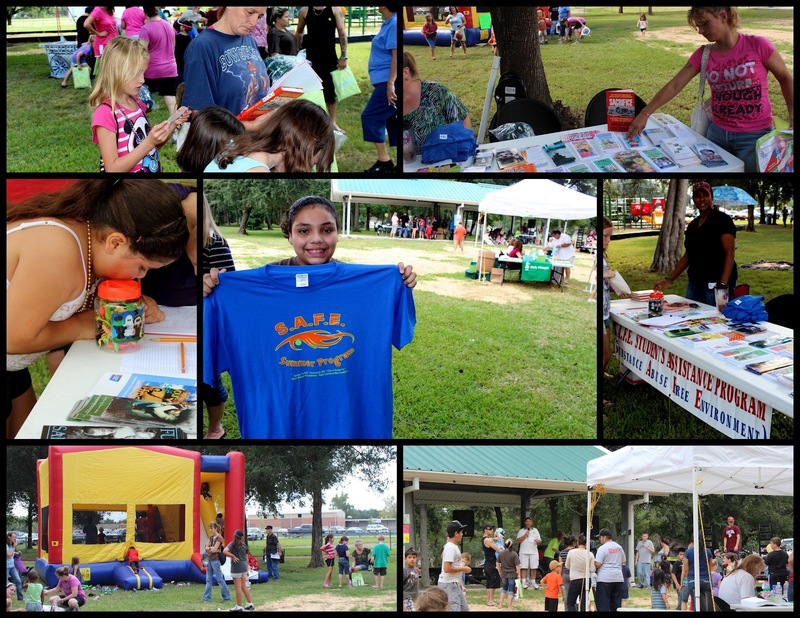 Program, Galveston County Health District, and many other local organizations had booths with prizes, games, and literature for the children and adults that attended. Drinks, hot dogs, popcorn, balloons, and prizes (over 30 bicycles and bicycle safety equipment) were given away from 10-1 PM! The S.A.F.E. Program gave away shirts from their summer program as well as a "jar of bugs". The kids had to guess how many and the prize went to the first to guess correctly.